The professional version of the Sustainability Accelerator provides you with comprehensive support for stakeholder engagement, training, planning, and assessment — all the essentials for creating, planning or renewing a sustainability program or initiative. The Sustainability Accelerator is our comprehensive suite of professional tools for serious sustainability practitioners. 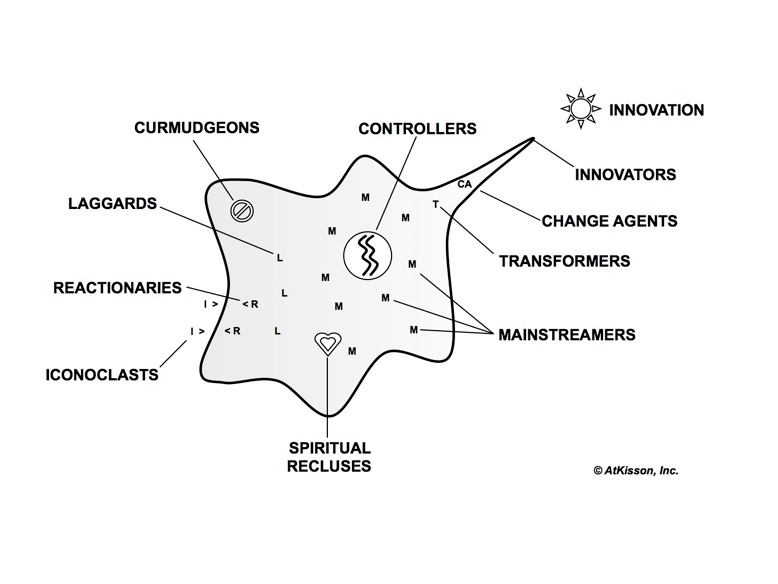 Built on the architecture of our open-source VISIS Method — Vision, Indicators, Systems, Innovation, Strategy — Accelerator helps you manage and streamline the complex and challenging demands of sustainability work. The Accelerator tools can support you, your colleagues, and your clients or suppliers during the whole sustainability journey, from initial awareness-raising to training, planning and implementation. 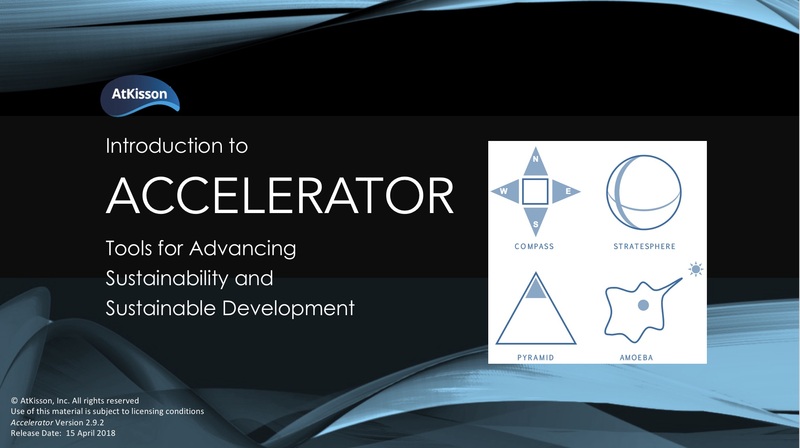 Use the Accelerator tools to build the foundation of your sustainability program. Or integrate our tools with the sustainability program you already have, and blend them with other tools you might already be using. Accelerator is very flexible: these tools are proven to add value to any organizational sustainability program or initiative, from business CSR programs, to educational institutions, to community improvement efforts. 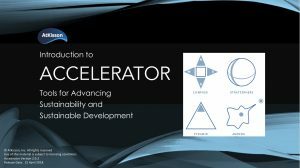 User-friendly, engaging, and educational, the Accelerator toolkit is well-tested, having been adopted and used around the world, by international companies, school districts, United Nations training programs, university Masters programs, NGOs, and many individual sustainability practitioners. Consisting of a family of four distinct toolkits — Compass, Pyramid, Amoeba, and Stratesphere — Accelerator can be used by professional staff within an organization, or applied with the aid of an external consultant who is licensed in their use. 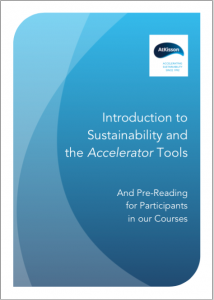 For more info, download our short introduction to Sustainability and the Accelerator Tools. If you would like information on getting licensed to use the professional version of the Accelerator tools, please contact us. Tell us where you are located, and how you would intend to use the tools (for example, whether you plan to use them in education, in a consultancy, etc.). One of our associates will soon be in touch to give you more information about licensing and to discuss options with you. 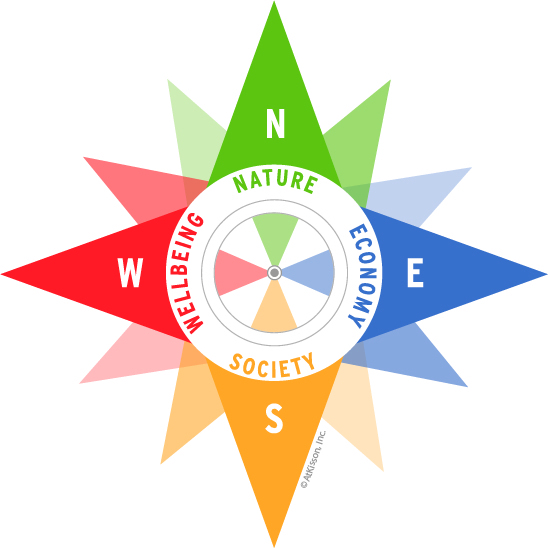 Our Sustainability Compass framework is named for its central metaphor: a compass with the four directional points (N, E, S, W) replaced by the four key dimensions of sustainability: Nature, Economy, Society, and Well-Being. This popular management and education tool is used for framing, defining, assessing, and measuring progress towards sustainability. 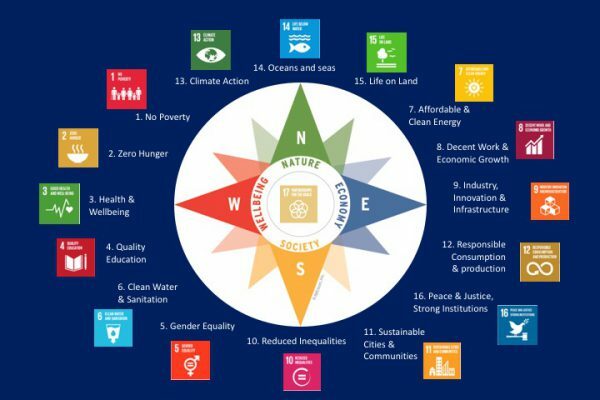 It also integrates seamlessly with the United Nations Sustainable Development Goals (SDGs). For more info, download Accelerator Lite. 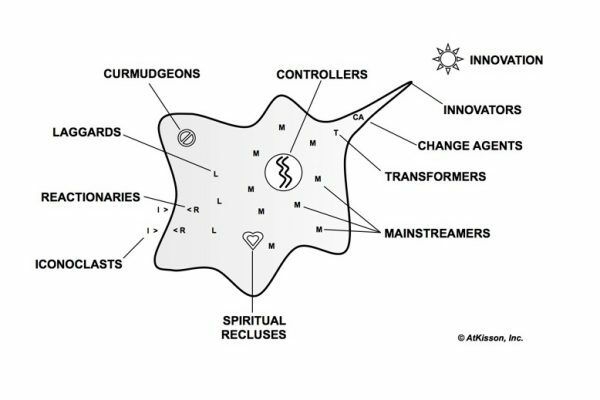 “Amoeba” includes a set of tools for accelerating innovation, planning for change, and building competence in the art of change agentry. It includes a set of analysis tools and models, a training workshop with a roll-playing simulation game, and worksheets designed to support strategic thinking, planning, and decision making around how to introduce and spread innovative ideas in a culture or organization. For a high-energy video introduction to this popular tool — which has been used around the world and translated into many languages — check out Alan AtKisson’s TEDx talk. 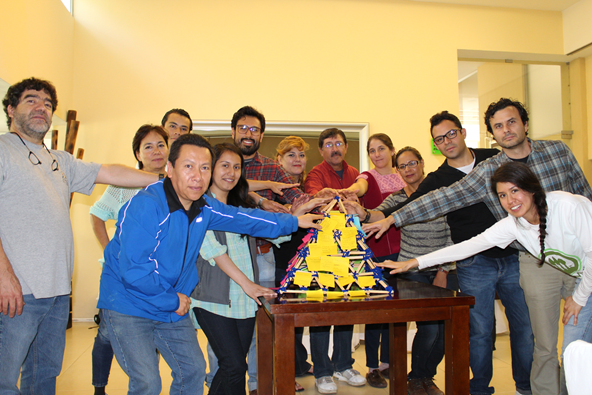 “Building the Pyramid” is a versatile group-process tool that can be used in several different ways: as a training tool for learning about sustainable development; as a planning workshop for creating new initiatives, projects, visions, or strategies; and as a multi-stakeholder process tool for building consensus around a course of action. (It can even do all three of these things at the same time.) Used by corporate work teams, school classes, university administrations, and more. The professional manual provides extensive facilitator guidance, multiple simulation scenarios, and worksheet templates. To get a sense of the fun and power of Pyramid, download the free version available with Accelerator Lite and try it out for yourself. 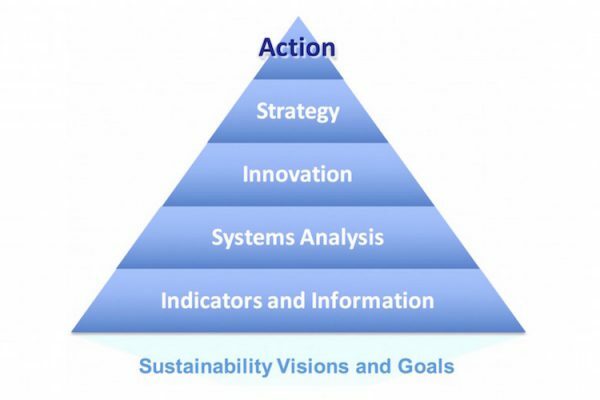 Stratesphere is an integrated system for strategic planning in a sustainability context. 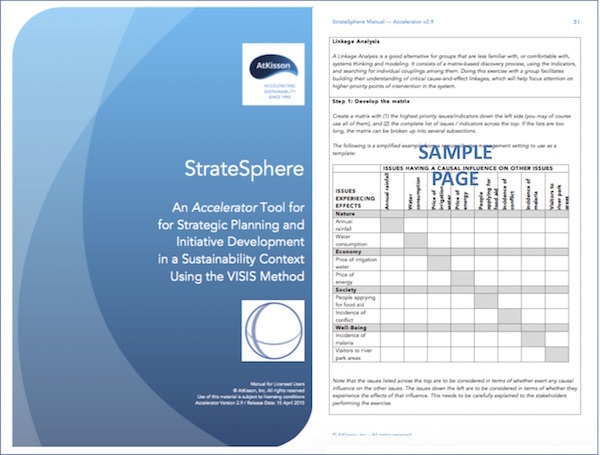 The “sphere” metaphor is used because the system – which combines our “VISIS” method with specific planning tools – can give you the 360-degree “complete picture” you need for designing your initiative and planning for success. 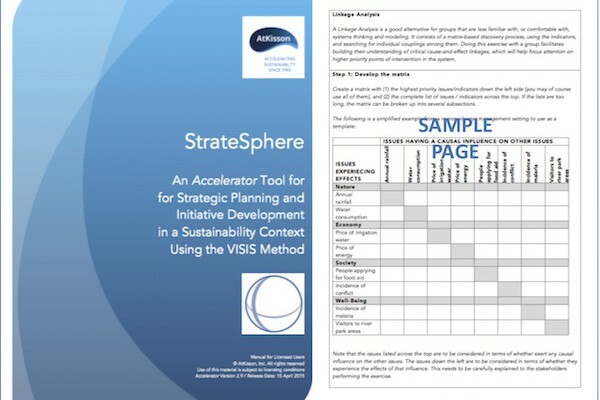 Includes templates and instructions for developing sustainability indicators, simplified systems analysis, organizational capacity assessment, and many more tools.